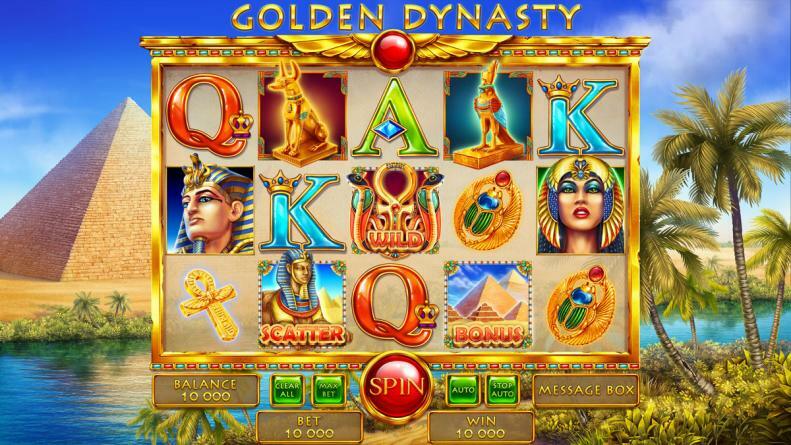 Graphic design for online casino game "Golden Dynasty"
MONTREAL, Quebec - Feb. 11, 2019 - PRLog -- Our new slot offers the player to go on a journey to the pyramids and find the treasure of the great Pharaohs. The plot of the video slot is built around the pyramids and other delights of the ancient Egyptian World. The machine is designed in the appropriate graphics and surroundings: deserts stretch all over the playing field, occasionally decorated with pyramids. The theme of ancient Egypt is truly inexhaustible. Mysteries of this mysterious civilization still excite the minds of scientists and archaeologists from around the world. The graphics of the slot game is traditionally presented in sandy-brown colors. The sounds of the slot are concise. Below, you can see the illustration, which serves as the main background. Here we see the magnificent pyramids near which a small river flows.